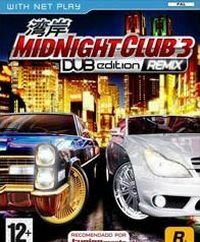 Midnight Club 3: DUB Edition Remix is a race from Rockstar Games, the company responsible for the controversial Grand Theft Auto series, among other things. According to the authors, the special edition of MC3 is an award for long-term fans of the series. The Midnight Club is back and bigger than ever. Tear through the living city sprawls of Detroit, San Diego, Atlanta, and now Tokyo at breakneck speeds. Personalize the huge assortments of all new additional rides with the latest rims, kits and upgrades hot off the street. Over 20 vehicles have been added to the original Midnight Club 3 car collection, spanning all the car classes from the original release, and including all-new models from Lamborghini, Cadillac, Dodge, Infiniti, Pagani, and more.